There are so many places to see in Atlanta and all these have contributed the unique charm of the city. But these three cannot be missed when you are there. Have a look at the top 3 must visit places in Atlanta now! Have you ever wondered what is it to be like the world’s foremost news channel? Well, if you ever have, you have the chance to see how it actually is for yourself when in Atlanta. The world headquarter of CNN is located in the city and there are daily tours you can join to explore this media giant’s building. In order to see what the building looks like inside and get to know more about live broadcasting in CNN, you should sign up for a guided tour. The tour includes brief information about the history of the channel and focused more on the actual broadcasting process. You get the chance to see the studios as well as the staff and the main news room. (If you are lucky, you can come across a well-known anchorman or woman’s program). The behind the scenes of a news channel is going to open a new door to you. The complex also includes a large food court so you can combine your tour with lunch or an afternoon coffee. 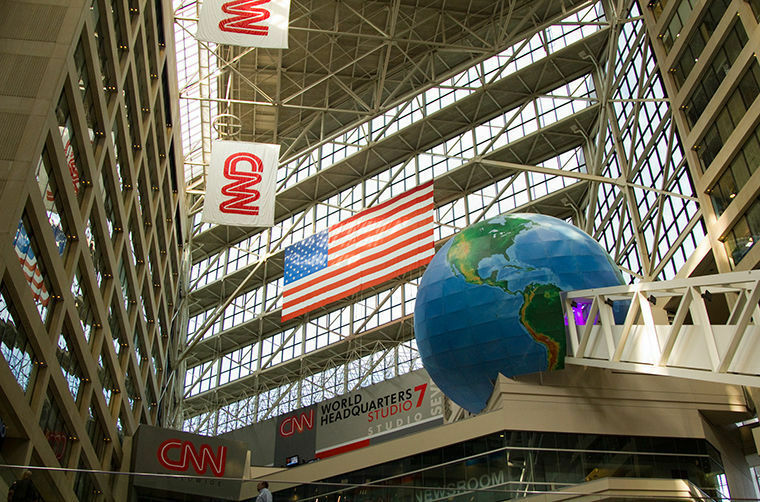 CNN Center is located on 190 Marietta Street Northwest, and the official website includes all the needed information about the tours and getting there as well with possible visiting hours. A visit to Martin Luther King, Jr. National Historic Site in Atlanta is probably going to be one of the most meaningful excursions you’ll make in this beautiful city. The site is established in 1980 and consists different buildings, all of which are consisted of ones where Martin Luther King Jr. spent time when he was a boy. Ebenezer Baptist Church, where Martin Luther King, Jr. and his father were pastored is also included in the site and it still can be visited. The place as a whole serves as an introduction to understanding Martin Luther King Jr. as a person and a leader. King Birth Home is another building you can visit if you stop by the visitors’ office and sign up for a guided tour however you should keep in mind the tour doesn’t cover all parts of the house. Still, you can get a lot of information about the history of both King family and the places used as houses by them. The last stop of your visit to Martin Luther King, Jr. National Historic Site must be to Martin Luther King Jr.’s and his wife Corretta Scott King’s tomb, located on the in the Sweet Auburn district of the place. The official website of the site provides the needed information for a visit. One of the biggest and most famous attractions in Atlanta is the World of Coca Cola. Actually, that’d be more accurate to refer the place as a museum since it has features a massive content related with Coca Cola not as just a drink but as a project and a company. World of Coca Cola, located on 121 Baker Street Northwest, can also be called the new and the extended version of the original Coca Cola museum which was located adjacent to the Atlanta subway. The old museum was also a major point of interest for the visitors however, the new building has got so much more to offer. You can get to know the history of Coca Cola, the story of the advertising campaigns during certain periods of time, and the materials used to distribute the drink throughout the time. If you are collecting Coca Cola items or bottles, or you know someone who does, then this place is the heaven on earth for you. You can pick specially designed Coca Cola bottles and souvenirs to take back home with you. The official website of World of Coca Cola gives detailed information about the entrance fees and opening hours as well with all the needed information about the content of the place.